What could be more horrible than Henry? Henry’s whiffy, smelly underpants! But he likes them that way – so he’s horrified when his aunt sends him a pair of pink, frilly, girly knickers as a birthday gift! Henry hides them in the darkest corner of his drawer, keen to make sure that nobody ever finds out about them. But disaster strikes for the world’s worst boy on the fateful day when he finds himself accidentally wearing them… with terrible consequences! 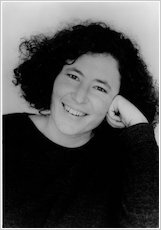 horrid henry’s great aunt gives him some really girly pants so then he hides them in the toilets and miss battleaxe finds them and he tells her that he has no pants on and she suggests that he wears the pink ones. 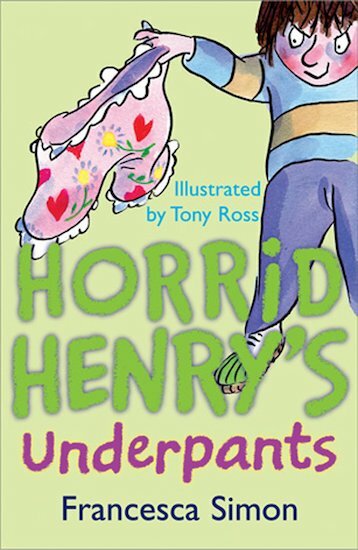 Horrid Henry gets given some girly underpants from his great aunt greta.He then accidently wears them to school and decides to tell Miss battle-axe that he dosen’t have any pants on.She tells him to go to lost property to look for some pants on the way he goes to the toilet and tries to flush the girly pants down the toilet!!! The books great and really funny.Horrid Henrys little brother peter always gets in henrys way to.Its really funny when henry recieves a pair of pink girls pants! !